Branding is more than a logo and image or even a recognized name. It’s a person’s collective experience with a company’s product or service. A brand is a person’s overall perception of a company or product built over time. While it includes your colors, logo, feel and flow; your brand is you, the leader of the company; and the company, it’s culture and energy. I’ve learned from numerous brand specialists and experts over the years. Branding is also something that evolves as your business evolves. There is a theme as to what makes up your brand and there are consistently four (4) things that these experts say we must bear in mind. Through my own experiences, I whole-heartedly agree. 1] Own your “ONE Significant THING”: Don’t try to be all things to all people. Spend your time focusing on a single clear message. Mercedes-Benz owns “Engineering “ in the car industry because it’s focused on that singular message for decades. Brainstorm ideas to come up with your “One Significant Thing” and have it show up in all of your messaging and marketing. Everything else that you do will undoubtedly fall under this one thing, so you don’t be concerned about being broad. Find it and own it. 2] Consistency is key: consistent presentation will ensure that your customers recognize you. Be consistent in the use of logos, taglines, visual elements, tone, and ad copy. Nike is one of the most recognized brands in the world because they haven’t changed in decades. It’s ‘Swoosh’ or the Swoosh Logo. Make sure your brochures, website, Direct mail, and all the other advertising have the same look, feel and message. 3] Make your message relevant: know your audience, know what they care about and how to speak to them. Make sure what you sell is what they need, and more than that, what they want (think they need). Remember the conversation should always be about your audience, not you. 4] Use a strong offer to motivate: you want your audience to remember you and you want its members to buy from you. You need to move them to action. A strong offer should give them a reason to buy. Make the offer clear and appropriate for your brand. Every time a customer comes in contact with your brand, they will have either a positive or a negative experience. Those experiences will add to their perception of your brand. Those experiences are recalled later when it’s time to make a purchasing decision. How do you want your brand to be remembered when the time comes for a prospect to buy? 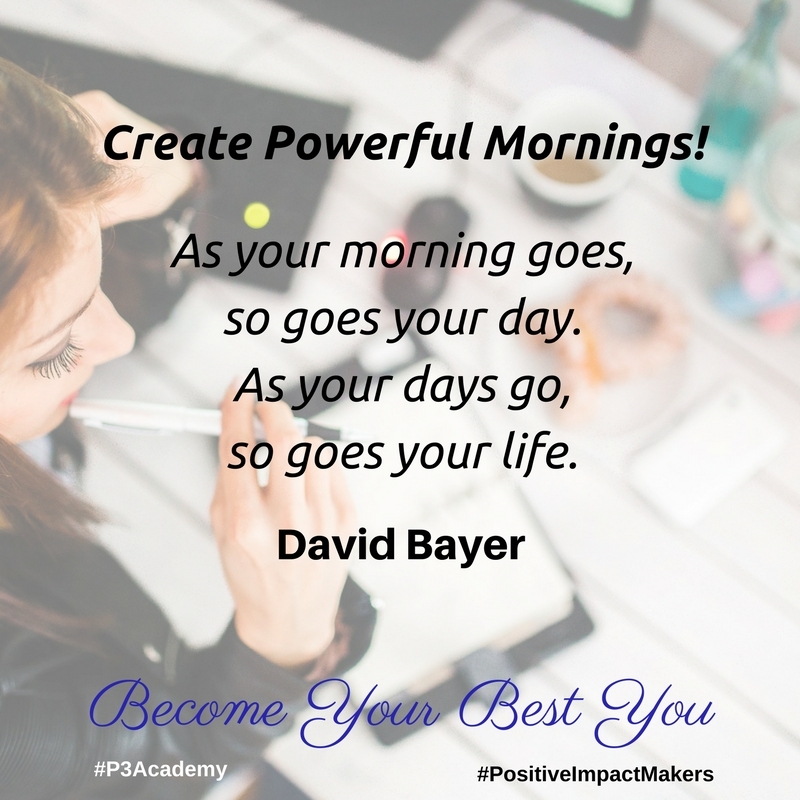 You need to start building that positive perception today and do whatever is necessary to maintain it. In conclusion, there is one last aspect of branding that I want to touch on because it is in many instances a make or break the deal type of element. It is photos and video. We have reached the point in this digital age that requires business owners to be visible. People want to know the face of the leadership of companies and organizations. They want to hear from those in the leadership positions speaking on video about the values, culture and direction of the company; your company, and the experience you want to deliver to them. Plan your strategy for photo and video visibility and begin with your website. Add where appropriate and believe it or not, the more the better. Again, strategic placement will create an advantage for you. The match creating visibility in your marketing materials, will create an even greater opportunity for sales. Whether you’re planning a marketing campaign for your product or service, or planning a pitch, remember, strategy and implementation cause the business wheel to turn. Lynn Hawkins is a certified business acceleration coach, consultant and small business funding strategist, specializing in helping entrepreneurs with online marketing to grow business and revenue. As CEO/Founder of the P3 Academy of Social Entrepreneurship, she coaches her signature 5 Tiers of Accelerated Business Development, courses and programs her audience is asking for. Lynn teaches how to raise capital using crowdfunding and is host of the Crowdfunding Hacker Show. She is an author, speaker and an advocate for growing women entrepreneurs and their businesses and is often caught saying “when you earn more revenue, you can do more good in the world”. She believes in creating a living legacy through your work. Her “Goddesspreneur DIAMOND Mastermind” and “Women Empowering Women” live events help women express their vision, vibe, voice, and visibility to live victorious legacy lives, creating and growing legacy businesses. We all know that there is a need for relevant and targeted content for your audience. But do we have to stick to the corporate straight line or can we show who we are personally and perhaps even add some humor. That depends. Many companies and entrepreneurs tend to play it safe and show no personality while others are much lighter and share more of the personality of those responsible for their posts as long as it aligns with their tone of voice and brand. I must admit. I was one of those who wanted to stay on the sidelines, be in the straight line of ‘stay on the subject’, yet it became difficult to be on subject when there wasn’t any feeling and personality interjected in my writing. I found I personally enjoyed articles, courses and seminars when I got a feel for the personality of the person behind it all. It became an important factor for me in my buying decisions. It also became more evident by the questions I got, as a coach and trainer, about who I was and why I was doing what I was doing. When you consider content as a story being told, I believe it’s much easier to put things into context as you write. You easily see the real value of having personality in your content that’s a bit of you and your story. You do want to make sure that the subject isn’t lost in the personality, and rather, that it’s enhancing the content. Once content is shared, it never goes away. So before you post it is important to know your market and create something that can remain timeless, evergreen. Then you can decide if your content could use some personality. Alternatively, if we are writing to post in places where advertising or group shares are opportunities, you definitely want to display some degree of personality in your writing. There are several reasons for using this type of strategy and it’s important to know how personality is the connection to the emotions of your customer. Let’s consider the top emotions we invoke in social media content. The marketing and content source, BuzzSumo, analyzed more than 10,000 of the most shareable articles for topic and tone. What they found is that the top three emotions invoked were laughter, awe, and amusement. When you publish for content marketing, it engages a psychological contract, which is why it is so important for you to comprehend how you can call upon the correct emotions to make the online connection a positive one. Invoking one of these 3 emotions is easier said than done, however, I think a close next is … curiosity. If you, like me, sometimes have a challenge bringing in laughter, awe or amusement, go for evoking curiosity. We also understand that there are those who choose controversy. This can evoke anger and resistance that can possibly cause damage to your brand, which in turn can cause a loss of sales. Yet, it is important to consider if we can still be controversial if we are not being political or personal. Some subjects need this viewpoint. It is important to balance engaging, positive content that is sharable, and thought provoking, challenging content. Positive content is most always accepted, yet the challenging content requires a bit of personal strength and personality to handle any resistance. Some market sectors, like B2B, are more accepting of the challenging. They are more apt to be the responses of resistance, although there may also be support. And we really know it’s about engagement, which sometimes the challenging creates a lot of. The question becomes should you play it safe or should you take the chance and push your boundaries by including content that is entertaining and thought provoking and that may not be agreed upon by all. It’s important to not be worried about showing personality but rather to ensure you have set boundaries around that personality so none of your followers or visitors are negatively impacted and you do not negatively impact your brand. P.S. If you liked this article and want some strategies on getting more visibility for your program, product or service, contact us. Get your Complimentary 45-minute Rapid Results Strategy Session and walk away with a plan or at least 1 strategy you can implement immediately that will get you closer to your objective. Advertising a product, program, service, or any undertaking a launch, such as a website, a book or course for example, has always been a pain in the wallet. I have been a follower (and a user) of free advertising and I would like to share with you a few of the simple strategies I’ve used in getting free advertising. The first strategy is to advertise in free but well-visited web sites. Making the ad about or leading to giving value and you’re always invited to share with a link back to your site or landing page. The spewing of salesy stuff will get you kicked out and shut down. Share value and you will be valued as a contributor. You’ll be seen as marketing products, services or programs of value. One of my favorite blog sites, Hub Spot, published an article listing some of the best websites where you can get free advertising. You can access these free ad sites by first going to the blog and taking a look. You’re probably doing some of these now, so the ones you aren’t using, could have a big pay-off for you. Choose wisely. I’m big on doing One Thing, so, don’t try to do everything. While I’m not always good at doing just One Thing, I’m a visionary and an ideas person, so I’ve had to really focus on this piece of advice. That said, pick what best suits you, the time you want to spend and the intention you’ve set for quantifiable results. Add it to what you’re already doing and do it intentionally well. Track it and measure the results. Add another once you’ve gotten this one down, or ditch it and do something different if the results aren’t what you intended. Additionally, don’t be too quick to drop something because it doesn’t appear to be having the results. Know what the expected timeframe is for whatever the results are that you want and give it the appropriate amount of time. The second strategy I used to get free ads is to create a web-tv show. Not only can you deliver your own advertisements, in a very classy way of course, you can charge and deliver ads for others, creating a nice stream of income. A web-tv show can be done on a no or low-budget and can gain quickly gain in reach and interest. My friend, @AnnDeVere, Executive Producer of the GVN TV Network is a master at teaching this strategy and she’s always doing a Free Facebook Live sharing her tips, knowledge and expertise. She’s always looking for great people to interview on the Access to Experts TV Show, so check her out. The third strategy I’ve used on a nominal budget is Facebook Ads. I’ve counted it as Free ads because when I began doing it, I had a budget cost of $15 per month. I used to listen to the big guys who said you have to spend thousands in order to get any kind of ROI, then Spirit (yes, Intuition, God, Spirit) told me to just do it anyway. I only had a small amount I could start with. The key was starting and reinvesting. That’s something that they do tell you and it works … It’s the Law of Compounding. When I first started boosting posts, $15 for 14 days or 30 days was my tiny budget. It was the cost to attend one networking event in a month and my ad post could reach an exponentially larger audience, sometimes 100% larger number. I did this once or twice a month. As my return grew, so did my budget, and yours can too, even if you just want to start small to test the waters. My intention was to increase my exposure and work that to organically increase my revenue. It started with the desire to share value and get known. Create the right ad, compelling, short and having a strong call-to-action. This is probably the hardest of the 3 things to do. Let your image or the video face do the visual talking for you. Use few words. Your post is the short and sweet invitation to play. Select ‘random’ posting to let Facebook help you get in front of the right audience at the right times at first (or always). They seem to do it much better than I do making those time selections. Make sure you have the right target audience. The tighter the target, the better you are for the smaller budget. Get in front of those who will pay attention to what you’re sharing and know that not everyone will. You could get great numbers in the 5k or so range reach and if a fraction, which could be hundreds see and engage, you’ve just exponentially increased your opportunities for creating engagement leading to revenue. Understand that your first level of ROI is in exposure. Grow the # of Likes on your FB Page, or drive traffic to your landing page or your website and give value wherever you lead people. Begin the dating process. Have a training video, an eBook or something that you can share that will bring even more value and make sure again, you lead them to the next thing, perhaps a strategy session. Don’t set your expectations that this kind of budget will bring you big dollars. A big budget will bring big dollars, unless in your system you have a high-ticket offer. Let’s be realistic. I’m not selling a low-budget pipe dream. This is a system. I call it my Revenue River System. Reach out with exposure which is where you get people into the boat at the top of the river. Then you want to be in the flow of adding value and as the river flows, you’re bringing prospects closer to you through engagement, that leads to sales. You make some money, and you repeat the system. Exposures to invite, be in the flow of adding value and leading to the sale. Reinvest in your system and best of all, when you’re ready, increase your budget, do it again, make more money, and do it again. You can repeat this system with the same message for months with ease. In time, you can create a new front-end message that leads to the same high-ticket product and continue to increase revenue, and your ads budget. My last piece of advice is to keep track of the numbers. You cannot improve what you do not measure. Look at the results of whatever you’ve elected to do. Chart them in a spreadsheet or get fancy with it if you’d like. Keep an eye on the results you’re getting. I’ll admit, I didn’t at first and after a few short weeks, seeing some of the results, I was trying to remember where we started and what happened, especially when there was a marked spike in exposures or hits to my website. The question became, what did I do to make that happen? I can’t emphasize it more … track what you’re doing. The results have a story to tell you. For me, it was a matter of not having enough time to do everything. It quickly began to feel like I was doing the whole ‘throwing spaghetti at the wall and seeing if it would stick’ and that didn’t feel good. I knew it was a matter of just recording the results to get me grounded again. So, first thing every day, I just wrote down the stats for whatever I was doing, especially where my modest budget dollars were focused. That action alone was magical. I started seeing things happen more smoothly and quickly. I not only increased my ad budget, I was able to spend more to clock more hours from my VA to help with the doing and managing. It was awesome and I want you to have the experience of seeing your advertising efforts work. Enjoy your success in this Simple Start to your advertising and getting out there for free! P.S. If you liked this article, I want to share some strategies on creating your YouTube Videos with a purpose or getting more visibility. Ever thought about creating your own web-tv show or podcast? Find out more. Get your Complimentary 45-minute Rapid Results Strategy Session and walk away with a plan or at least 1 strategy you can implement immediately that will get you closer to your objective. 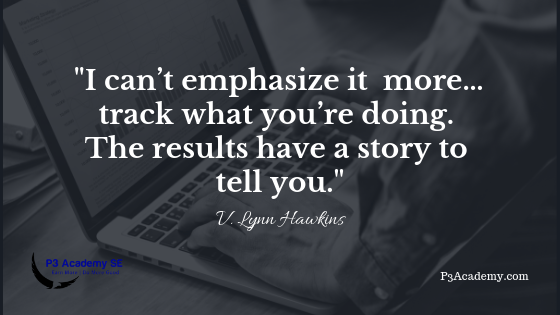 Lynn Hawkins is a certified certified business acceleration coach, consultant and small business funding strategist, specializing in helping entrepreneurs with online marketing to grow business and revenue. As CEO/Founder of the P3 Academy of Social Entrepreneurship, she coaches her signature 5 Tiers of Accelerated Business Development, courses and programs her audience is asking for. Lynn teaches how to raise capital using crowdfunding and is host of the Crowdfunding Hacker Show. She is an author, speaker and an advocate for growing women entrepreneurs and their businesses and is often caught saying “when you earn more revenue, you can do more good in the world”. She believes in creating a living legacy through your work. Her “Goddesspreneur DIAMOND Mastermind” and “Women Empowering Women” live events help women express their vision, vibe, voice, and visibility to live victorious legacy lives, creating and growing legacy businesses. Accidentally or Intentionally? How are you marketing online? Take a moment to think about how you would really answer this question. If given enough thought just about any business owner who utilizes the Internet for any purpose will likely find that whether or not they intentionally organized an Internet marketing campaign, they may already be marketing their products and services on the Internet. This article will examine some subtle ways business owners may already be marketing their business on the Internet and 4 tips to easily do more through setting an intention to get a particular result, leading to the growth of business and revenue. Are you like most business owners and have a website for your business? Those who answer yes to this question are already marketing their products or services online just by virtue of the fact that they have a website. Having a live website means there is the potential for curious Internet users to access your website, find out more about you and possibly connect. You may not be actively promoting your website and you may still find that your website generates interest in your products despite the lack of promotional endeavors. This is a form of passive marketing and while it may not take much of your time, it also won’t bring you revenue . 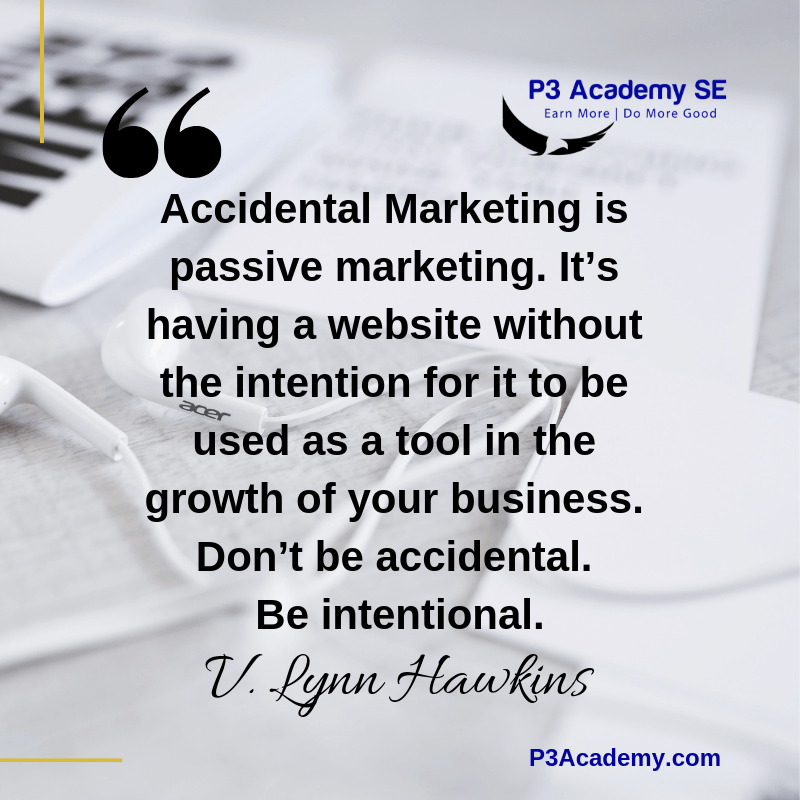 I call it ‘accidental’ marketing because the intention is only to have a website, not to use the website to help you grow business. With marketing in a more intentional way, you’ve increased the value of your website and without much more effort. By at least creating a Facebook business page and posting periodically (optimally on a scheduled basis at least once per week) sharing information of value and including a link to your website, you’ve increased the value of your website and the opportunity to attract more because of search capabilities. You can expand this idea by also posting to LinkedIn, creating a video and posting it on your YouTube Channel. This is just a little for starters and a small investment of time or money. Already doing this, consider the next level of intentional outreach that can attract more to find their way to your website. Do you participate in message boards and include a link to your website in your signature? Do you belong to social media groups or community groups where you can use your website in your communications? Again, business owners who answer yes to either of these questions are already marketing their website online. Savvy business owners realize the importance of participation in industry related message boards and groups to create an interest in their products and services, establish themselves as knowledgeable and authorities about the industry and they offer a link to their own website even if it is in the signature line of their posts. Business owners who do not realize this may be inadvertently enjoying the benefits of Internet marketing which result from message board participation just by doing something they enjoy. This is especially true when they may be doing this as a form of leisure activity. Participation by sharing your wisdom and commenting on others posts in any group always has its rewards, however, it also has a downside when you’re not optimizing the advantages of being a part of these groups by participating with intention. Connect and participate by first sharing value. Whether it’s a message board or a group on Facebook or LinkedIn, sharing value will have a return that can only be imagined. Set the intention to do this type of participating and measure the results in traffic and leads, through to closing a new sale or client. Next, do you include keywords that are relevant to your business in the content of your website? Business owners who answer yes to this question are also already marketing on the Internet and optimizing their website with these keywords. 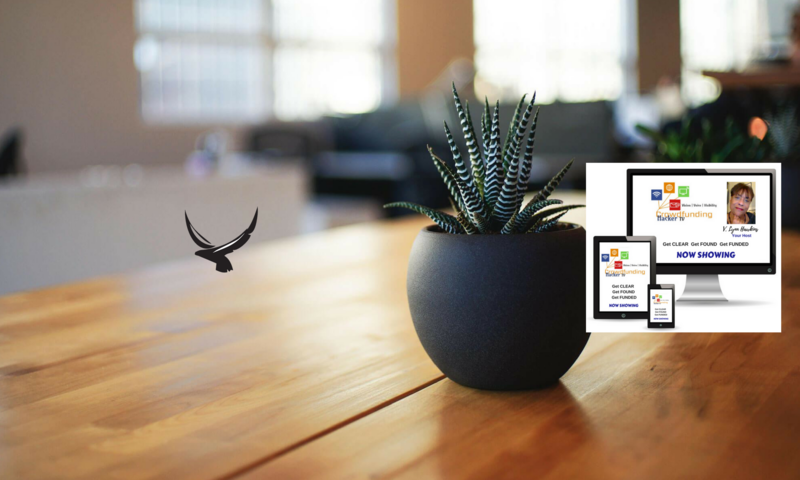 Search engine optimization (SEO) affects websites whether or not business owners are even aware of the concept of keyword density and how it can help with SEO. Business owners will likely use certain words often depending on the type of products and services they offer just because it is natural and logical to do so. This tendency, however, can result in search engines boosting your website rankings because of these particular keywords. The downside is that if you aren’t capitalizing on this knowledge and do this intentionally, you could be missing out on added business or optimizing your connections. The concept of SEO is much more involved and complex than simply using keywords frequently, but business owners can gain some benefit just by naturally applying relevant keywords to their website. Content will always be king, whether written or in video. Intentionally create your content using keywords and with SEO in mind and you will create a flow of information that will always lead back to you, some great connections and a sale, or two, or three, or hundreds! Now, do you solicit feedback from your customers online? This is yet another example of how business owners may be accidentally marketing their business on the Internet. Most business owners realize the importance of soliciting feedback from customers for business purposes. Business owners who offer products online might solicit feedback in the form of online surveys. Although the business owners may be doing this simply for the purpose of receiving the feedback, the fact that it is done online makes it fall into the category of Internet marketing and done with a little more intention, could be used to increase traffic and thus increase sales. Obtaining feedback from your customers is one of the best ways to gauge what your audience wants more of. Be intentional about soliciting feedback by asking the next question, something like: What else would you benefit from knowing, having or seeing from us that could help you? Not only will you get the feedback, you’ll get what could be your next product, course, book, or service offer. While we have already discussed several ways business owners may already be marketing online, the question becomes … are you marketing accidentally, or intentionally? Are you a business owner who has products or services and want to have an increased online presence? It’s time to take the no marketing, or accidentally marketing and transform it into intentional marketing by creating a strategy to launch a full-scale Internet marketing campaign with a purpose. The best way to do this is to hire a consultant with experience in Internet marketing to assist you in creating a campaign which is effective for your target audience. Don’t wait. Get It Done! Every day you are not doing it, someone else is a step ahead. Take your marketing from none or accidental to intentional. Do it with intention, with a social enterprise focus and track those results. Need help? Get your Complimentary Rapid Results Business Assessment to find out the possibilities of what you can be doing. While you’re at it, inquire about how we might be able to help with your social media marketing. 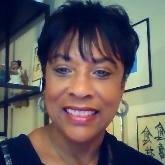 ABOUT THE AUTHOR: V. Lynn Hawkins is a certified business acceleration coach, consultant and small business funding strategist, specializing in helping entrepreneurs with online marketing to grow business and revenue. As CEO/Founder of the P3 Academy of Social Entrepreneurship, she coaches her signature 5 Tiers of Accelerated Business Development, courses and programs her audience is asking for. Lynn teaches how to raise capital using crowdfunding and is host of the Crowdfunding Hacker Show. She is an author, speaker and an advocate for growing women entrepreneurs and their businesses and is often caught saying “when you earn more revenue, you can do more good in the world”. She believes in creating a living legacy through your work. Her “Goddesspreneur DIAMOND Mastermind” and “Women Empowering Women” live events help women express their vision, vibe, voice, and visibility to live victorious legacy lives, creating and growing legacy businesses. Time Management is one misleading phrase. While science fiction, for the longest time, has been fixated on the subject of managing time using numerous ways, like the idea of time travel, not one person on this earth can really manage time. I agree with William Penn, however, only to the extent that when you know better, you do better. Let’s talk about knowing and doing better. As a human, the only thing that you can hope to attain is to successfully manage your life’s events in the most efficient way possible for you to have adequate time left for other things that you need to accomplish. Time is the one that manages itself, in all sense of the word. Was there ever a point in your life when you wished for more time? Did you ever want time to pass even more quickly? There are instances when time seems to fly while in other instances, time seems to be dragging. You often hear people complaining how their time at school or work is dragging, while the holidays just pass by all too quickly. These illusions are merely the effect of how a person reacts to different emotions and environments because whether you like it or not, nothing will change the fact that one day is always composed of 24 hours, no more, no less. According to research, once the human brain is engaged in numerous activities, it experiences a reduction in the ability to notice how time passes. Conversely, when your brain has less stimulation, it tends to focus on keeping tab on time passing. Time management is almost as good as safeguarding your money through budgeting and banking. You protect your money, aiming to use it in the wisest ways possible to avoiding any waste, right. You budget. You balance the money you earn with the money you spend. Just like money, your time is a limited and valuable resource. This means that the skills that you will need for managing your time is the same as those required for money management to be successful – planning, management, as well as self-control. By learning good skills in time management, you will have a better chance of controlling yourself in time, with the primary objective of improving your life. Furthermore, this improvement will reduce the level of stress you cause for yourself and heighten your energy levels. Through proper time management, you can maintain or come up with the perfect balance between your family, personal and work lives, while still possessing the flexibility of responding to new opportunities or surprises. In bringing this though to a close, my biggest advice is to be flexible and adjust without apology, remembering, stress kills. It kills the human spirit and can crease physical responses that will kill you. People will understand, so be genuine in your reasons for any needed adjustments and you’ll be able to make them more easily. As we approach a New Year and the Holiday Season, manage yourself more easily by managing one of your most valuable assets, you in time. 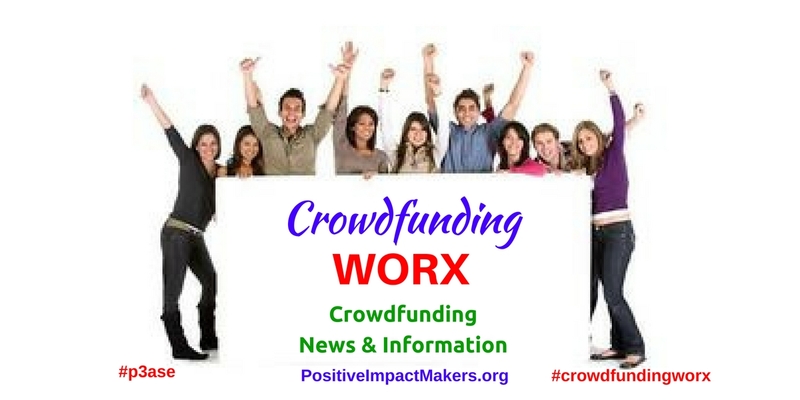 About the Author: V.Lynn Hawkins, a certified biz dev coach & small biz funding strategist, helps entrepreneurs raise capital thru crowdfunding. She’s CEO, P3 Academy of Social Entrepreneurship & Host, CrowdfundingHacker WebTV Show, where vision, vibe & voice create visibility.